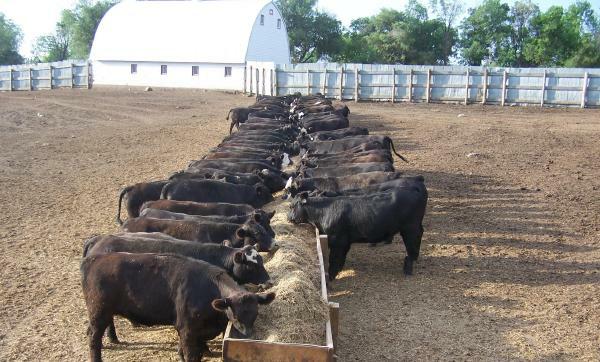 Our black angus cattle are treated and fed as if they could be processed for certified organic beef, we just don’t have the certification. We feed our cows certified organic grains, we don’t spray our pastures on which they graze and the cows do not receive antibiotics or growth hormones. We used to have certified organic cattle, but there are a number of factors that make it difficult to sustain an organic beef market. We sell our cows as natural and receive a premium for the practices we use to raise them which isn’t a lot lower than the premium we would get if they were sold as organic. The amount of time, energy and expense to certify our cows as organic wasn’t worth it as the market price locally isn’t there that can justify the investment. If we sold directly to consumers and restaurants, we could certainly get a better premium for the processed meat. However, to meet consumer needs all year, we would need to be calving our cows all year long so there is meat available all year long instead of being ready all at one time of year. Due to the harsh winter conditions, coupled with the lack of antibiotic use, it would be significantly more difficult to keep the winter born calves healthy without medical help. We are testing the viability of slowly working toward eliminating cattle as part of our production and focusing only on grains.